Hello. I am the New Home Expert. 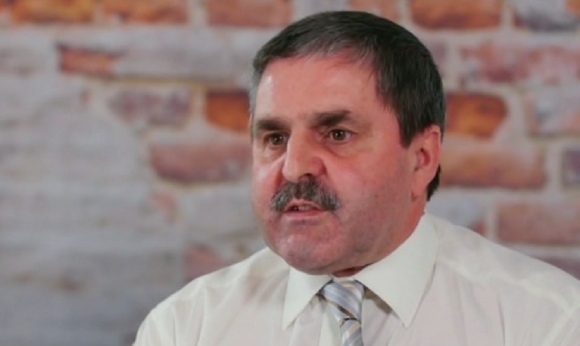 I am an award-winning house building professional, with over 35 years construction management experience in the industry, having worked for a number of large national house builders. 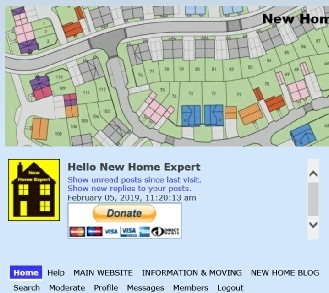 In 2012 I added a forum so UK new homebuyers could ask for advice and help and share their own experiences with each other. In April 2013, I started writing a Blog to highlight information and issues relating to new homes with editorial opinion on the latest news regarding new homes and campaign for a New Homes Ombudsman. I set up the Unhappy New Home Buyers Facebook Group in May 2014. This now has over 1,500 members who post to give advice and support to each other. For over ten years, I have been advising and helping new homebuyers with their problems and actively campaigning to put pressure on the large house builders to improve both the quality of the homes they build and the service they give to their customers when defects are discovered. Basically one dedicated and passionate individual making a stand for UK consumers for what is morally and ethically right. By exposing the bodges and poor workmanship that large house builders expect their buyers to accept, actively campaigning on social media, TV, national press and in Parliament, my aim is to obtain better protection for new homebuyers. A priority is the setting up of an independent New Homes Ombudsman that new homebuyers can turn to when house builders and warranty providers fail them. British homebuyers are sold a dream but many end up buying a nightmare! At the All Party Parliamentary Group Inquiry into "the Quality of New Build Housing in England and examine the potential for improving every aspect of the product handed over to new home-owners"
Monday 23rd November 2015 in the Houses of Parliament 'New Home Expert' campaigning on behalf of UK new homebuyers. What NHE said and proposed. "House builders don’t care because they don’t have to - well don’t care should be made to care!" "Withdrawal of state funding subsidies such as Help to Buy from house builders that fail to deliver or improve the quality of their homes and/ or levels of customer service." "to give buyers access to a fully independent body appointed by the government to provide support, help and a process for redress for any dispute with house builders or warranty providers. The New Homes Ombudsman ordering house builders and/or new home warranty providers to pay new homebuyers fully justifiable compensation." 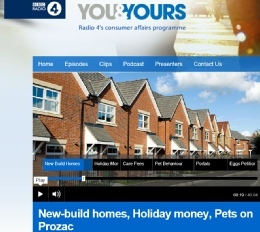 Buying new homes: Advice ● house builders ● snagging ● mortgages ● insurance ● warranties. renting ● solicitors ● legal issues ● estate agents ● DIY ● gardening. "Speed and numbers and profit have always been regarded as more important than quality and it’s a sad indictment of this industry"
"At the end of the construction process, there won’t even be time to actually snag the property, just to make sure everything that is supposed to be there, is there. If it is wrong it stays wrong and is [hopefully] put right afterwards"
"The biggest cause for low quality on new housing sites is, in my opinion, the end-of-year figures panic that sets in November and December and in May and June every year. I would advise anyone buying a new home, to not buy a new home that is due to be completed in May or June or in November or December because it will be rushed." "If it looks remotely possible that a house could be ready in time to be included in the company’s end-of-year figures, it will be rushed!" 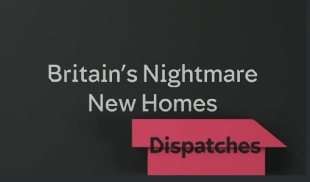 Channel 4 Dispatches - "Britain's Nightmare New Homes"
All the latest information, views, opinions and comment on news regarding new homes and residential property matters. Bob Walker reports on complaints during a visit to a Bovis development in Bedfordshire and speaks to homebuyers. 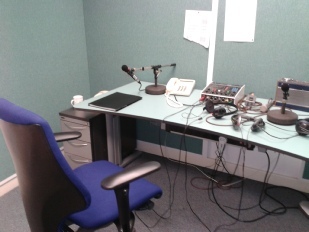 To hear the broadcast Click or click the photo left. "In my opinion it is not impossible to build a perfect home. The only tangible thing you need is time, time to inspect it and time to correct defective work. Unfortunately, time is something this industry doesn't have or want to have." "The very fact that a New Homes Ombudsman existed would mean that house builders would need to raise their game. They would have to look at their customers problems rather than just dismiss them knowing that the end result is it would go to an Ombudsman and they would adjudicate and the builder would have no say. In the matter and there would be no right of appeal. 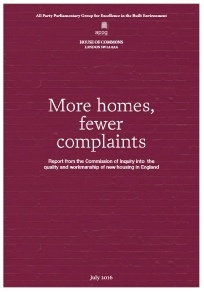 This would mean it would be in the house builder's best interests to either build better quality new homes or make their customers happy so they don't need to go to the Ombudsman"
The APPG Inquiry Report was finally published on 13 July 2016. It's findings are a damning indictment on a broken industry; a morally vacuous, profit-driven cartel, indifferent to its customers! It contained ten recommendations designed to force housebuilders to "up their game and put consumers at the heart of their business model" and to "address the imbalance" between housebuilders and the buyers of their new homes. I am delighted the number one, "key recommendation" of the Report was one of my suggestions - the setting up of a New Homes Ombudsman. Since the report was published, I have written (e mail) all 650 Members of Parliament, asking that they each add their support and lobby the DCLG to initiate steps to set up a New Homes Ombudsman at the very earliest opportunity. In all, four of the ten recommendations in this Report were as a result of suggestions made in my written submission and oral presentation. "It is down to us as members of parliament, to put pressure on the government to make sure that they actually do take notice." 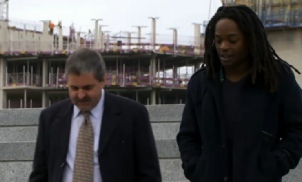 He also said he is "positively passionate about this issue"
"I think people who buy new homes should expect perfection. They wouldn’t accept a new car with ten defects, and they wouldn’t expect over 90% of new cars to have defects, so why this is acceptable in a new home." 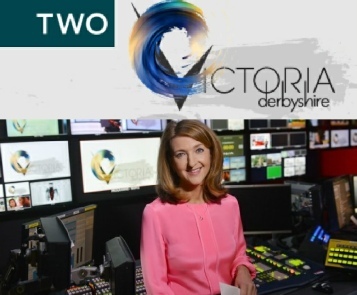 Wednesday 30 August 2017 New Home Expert on Channel 5 "Nightmare New Builds"
Victoria Derbyshire "New Home Nightmares"
"Some of the mistakes, if you can call them that, are horrendous"
"The quality of workmanship is getting worse in this industry and the only one word to describe it is atrocious." 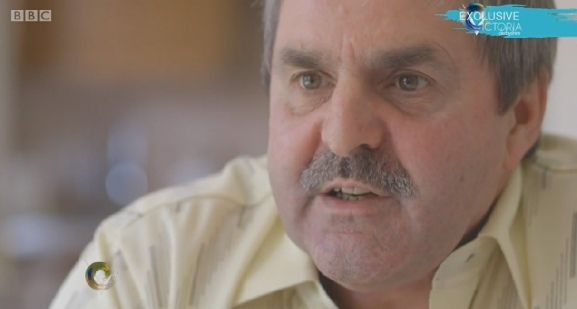 "I don't know how they [site managers, housebuilder CEOs, warranty inspectors] can go home and sleep nights, doing that to people; it's not right. From the CEO in the boardroom to the man on site sweeping up - no one cares"
"And no one in the process is thoroughly checking that the quality is going to be there and that the buildings and houses comply with building regulations and warranty standards"
"You wouldn't buy a car with a wheel missing, and expect to put it on when it is sitting in someone’s driveway and that's a silly analogy but that's to sort of thing people [new homebuyers] are expected to put up with"
"The industry manages customers expectations downwards, they actually say it is impossible to build a perfect house and it's not. " 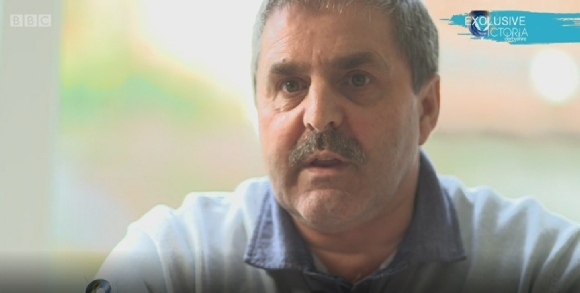 "It's a real David and Goliath issue, the only redress they've got is to go through the courts. Buyers who go to court will run out of money long before the housebuilders ever will"
"The NHBC mission statement is 'Raising Standards protecting homeowners' and from where I’m sitting I can’t see that they are doing either." 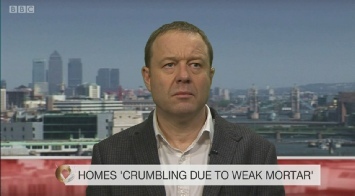 "Weak mortar – the next housebuilding scandal"
Why do people have to fight so hard do you think, to get problems like this fixed? "I don’t know! 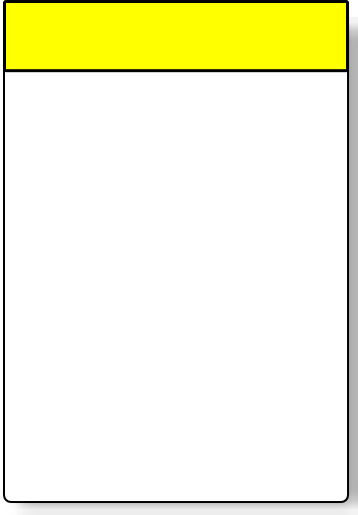 It’s black and white to me. If the mortar has not got sufficient cement in it, it’s not strong enough, therefore it doesn’t comply with the warranty standards." "If it wasn’t a problem, why are the NHBC and the builders buying houses back off of these people and then asking them to sign a non-disclosure agreement and keep quiet about it? It’s going on, it’s just not being talked about." Do you think it would be better for the industry if agreements like that were not allowed? "I think it would be better for the whole of the nation, if agreements like that were not allowed in any industry. Non disclosure agreements should be banned full stop I think. If it’s all covered up, more victims are likely to be drawn into the net and make the same mistakes"
I am very proud to have successfully influenced government policy for the betterment of all UK new homebuyers. However, there is still a long way to go, as indicated by the government’s response to its Redress in Housing consultation. So the fight continues to ensure the statutory new homes ombudsman is created and operational ”at the earliest opportunity” and ensure there is no backsliding under pressure from the industry to reduce and restrict the Ombudsman’s powers and effectiveness. New Home Expert is watching! "both widespread and very serious"
"We certainly don’t accept that"
When Will Statutory New Homes Ombudsman Be Operational?